Jimmy McGill has worn a number of different guises over the course of two and half seasons of Better Call Saul—from flashily dressed ambulance-chaser to cheap-suited working-class attorney to, yes, Gene the Cinnabon manager. But he’s never looked less like himself than he does in the cold open of “Expenses.” Clad in comfortable clothes for a morning of court-mandated roadside garbage-picking, he looks… defeated. Ordinary. Out of the game. And it doesn’t help that the first shot of the episode shows him leaning against a brick wall—literally on the sidelines. Even after he wraps up his community service and races to his car to change clothes for one of his commercial shoots, Jimmy’s not quite right. He’s more cleaned-up, but still too self-consciously casual. 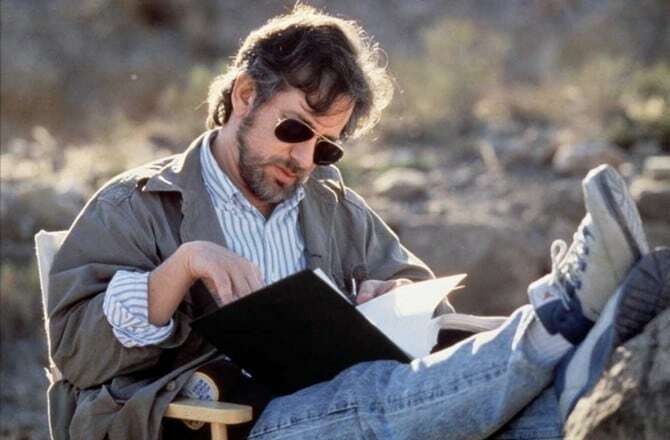 It’s like he’s styled himself after some picture he half-remembers of Steven Spielberg on a movie set. And though he knows the lingo of video production—even casually dropping terms like “last looks” before the camera rolls and “check the gate” after—he’s just not that convincing as the big boss of “Saul Goodman Productions.” He has some talent for making TV commercials, but no passion. After this week’s episode, there are three more Better Call Sauls remaining in the third season, and while it’s tempting to wish that more happened in “Expenses”—especially given that it’s coming on the heels of last week’s equally sedate, piece-moving “Off Brand”—there are signs throughout this hour that the show’s gearing up for a big finish. In scene after scene, Jimmy gets humiliated and outmatched, until by the end he’s become more hardened and cynical. 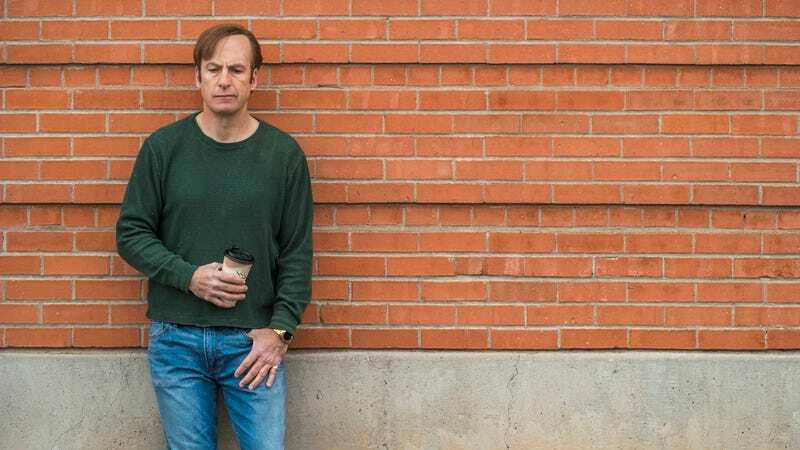 One of the surprises of Better Call Saul when the series began was how sweet and upbeat Bob Odenkirk’s interpretation of the character was, in contrast to his Breaking Bad days. 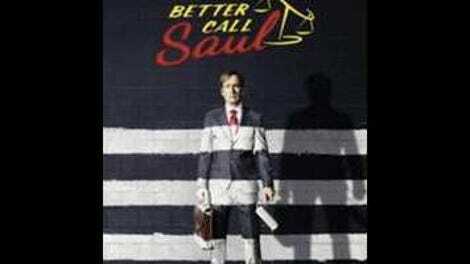 This week it becomes clearer that the “origin story” for Saul Goodman isn’t so much when and why Jimmy adopted the name, but how he became so cold, and so mercenary. Blame the state official who only gives Jimmy credit for 30 minutes of trash-picking instead of four hours, because he was on his phone the whole time—even though he filled more bags than anybody else. Blame the drivers who hurl additional garbage—including what looks to be a bottle of piss—while Jimmy’s on the clean-up crew, making it hard for even a quick wet-wipe “whore’s bath” to make him presentable. Blame the owner of Duke City Recliners for not buying more than one ad from Saul Goodman Productions. Blame the owners of the ABQ In Tune music store (played by the Sklar brothers!) for bargaining Jimmy down to $0 for a commercial shoot after they threaten to scrap their ad altogether. Because of all these folks, throughout “Expenses” Jimmy keeps hustling to nowhere. Before his community service, he wants to read the legalese on the waiver, but the court officer won’t give him the time. He can’t sway the ABQ In Tune guys when he says that running their ad running during Murder, She Wrote reruns will expand their market to doting grandmas. Even when he tries to convince his malpractice insurance company that they should let him take a year off from paying premiums because of his suspension, the representative pulls a Jimmy-style “What if?” maneuver, reminding him that a client could still sue. Meanwhile, he still owes Kim for his half the office’s bills, he still owes his TV crew for the ads they’ve shot and edited, and he’s facing a 150 percent increase in his insurance rates once his suspension’s lifted. Right now, Jimmy’s depleting his savings just to maintain the pretense that he’s a successful lawyer and an advertising magnate. That motto springs up a couple of times in this episode. When Mike says it to Pryce, the wannabe crook insists, “I’m involved already.” Later, when he confronts Nacho about his obvious plan to kill Hector with fake heart medication, Mike suggests that Nacho should think twice because he doesn’t know what he’s getting into. “I’m not getting into anything,” Nacho says. “I’m in it.” Despite their protestations, to Mike their choice seems clear. Don’t want to get in trouble? Stay out of trouble. And yet… When Mike arrives at the parking booth after a day of recreational construction, he looks at his callused fingers with a rare smile. No matter what his brain says, Mike’s nature is to pitch in. He likes to acquire information, and to put it to good use. And he can’t figure out everybody’s angle if he’s standing too far away. So it goes with Jimmy, too. After a couple days of demoralizing setbacks, he goes out drinking with Kim; and as they usually do while sipping overpriced cocktails, they start sizing up the arrogant schmucks at the bar as possible marks for “Viktor” and “Giselle Sinclair.” There’s very little playfulness or joy to the game this time, though. Jimmy’s dead eyes and grim voice as he lays out a detailed plan to fleece a rude customer unnerves Kim, who can tell that he’s not kidding around. She’s seeing him a different light, as he adjusts who he’s willing to be. He’s already crossed several lines in front of her in defending them both against Chuck. For his trouble, he’s now spending his mornings having trash thrown at him. He’s ready to throw some back. Hence the climactic scene in “Expenses.” At a meeting with his malpractice insurance agent, Jimmy breaks down crying, talking about how crappy his life has become, and how much he regrets what happened with Chuck. The words he’s saying express something that Jimmy might very well be feeling, but throughout the whole speech I kept thinking to myself that Odenkirk’s performance was unusually stiff and unbelievable. Then I realized why. It’s because Jimmy’s tears are insincere. He’s faking, to get Chuck into trouble. In the past, whenever Jimmy’s made a move like this, there’s been some evidence of a strategy behind it. But I don’t think he has any plans this time beyond getting Chuck’s insurance rates raised, just out of pure meanness. If he can’t get back into action by playing nice, then there are other ways to stay engaged. And with his cash dwindling and his patience wearing thin, it’s only a matter of time before Jimmy realizes that there’s money to be had in becoming a jerk. Donna will be back with you next week, and for the remainder of the season. She’s been at an academic conference in England for the past few days and asked if I could fill in, similar to how I used to on Breaking Bad. For old time’s sake—and for the greater cause of marital comity—I immediately said yes. As has been pointed out many times, some of the tension in Better Call Saul is sapped by our awareness of what Jimmy, Mike, Gus, Hector, and Tuco will be up to in a year or two, courtesy of Breaking Bad. But we don’t know the fate of Nacho, Chuck, Howard, or, most importantly, Kim. Given how edgy and remorseful Kim is in this episode when it comes to what happened to Chuck—about whom she admits, “As far as I’m concerned all we did was tear down a sick man”—it’s possible that we’re seeing here the ground laid for her eventual exit from Albuquerque. She won’t be able to stomach a life with Saul Goodman; and it looks like very soon he’s going to be the guy in the office right across from hers. The scenes where Jimmy changes clothes after community service are set to one or my favorite kinds of Better Call Saul music cues: a little clanging, minimalist avant-dance music, to lend a sense of urgency. Let’s give it up for writer-director Thomas Schnauz, whose framing of the community service sequences really captures the roadside hellscape that greets people who aren’t inside of cars. Here’s a fun fact: As of this episode, Jimmy/Saul has appeared on Breaking Bad and Better Call Saul combined more than Walter White or Jesse Pinkman. Saul Goodman may not be a natural when it comes to selling TV ads, but he’s right about one thing: Computers are our future.